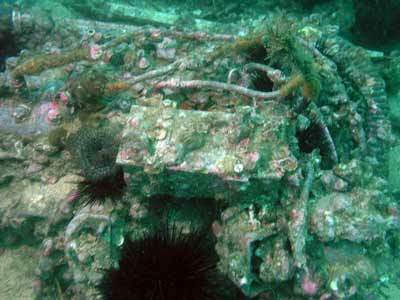 Sydney Harbour has a lot of dive sites. Some of these are located a short distance from the Heads and others quite a way. Most of the sites normally visited by divers are up the main arm of the Harbour. There are only a couple up the Northern Harbour and Middle Harbour. The Northern Harbour is basically the section from the Heads to Manly. In this area there are only really two sites that are visited. One is Little Manly Point and Fairlight. Fairlight is a site that I used to do a lot in the late 1980s and early 1990s but I have only done once in the 15 years to 2007. Travel to Fairlight Crescent, Fairlight. This is off Lauderdale Avenue. 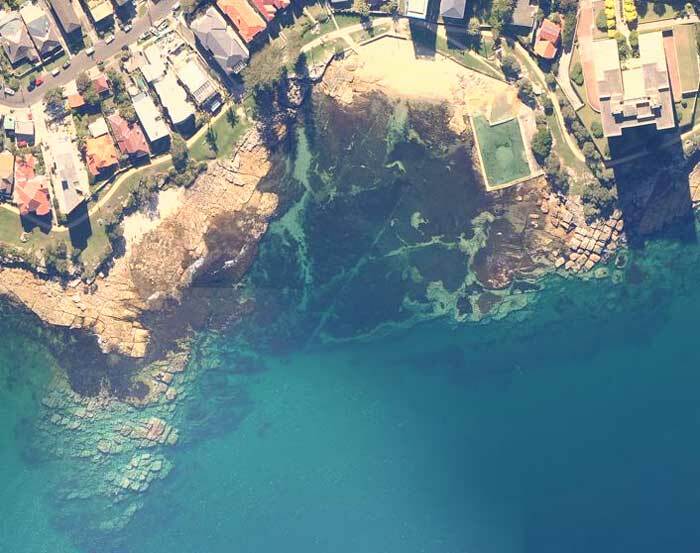 If coming from the City, turn right at Hill Street off Sydney Road once you are heading towards Manly after the Spit. This turns into Rosedale Avenue and then joins Lauderdale Avenue. Take the second on the right into Fairlight Crescent and park as near as you can to the first intersection. On your left you will see an access that leads to the waterfront. Once you have geared up, walk down the access track and veer to the right. This will take you across some grass and past a seat. Then cross the rock platform. There are a number of entry spots here. Choose the best one and flop in (do not jump as it is relatively shallow). Swim to the north-east and once past the rock platform, drop to the bottom. The depth here is just under three metres. Head east and the depth will slowly increase to five metres. You will drop over a very small wall. The bottom is rock covered with kelp. Head south once here and the depth stays this for a minute or so. Soon you will come to a wall and drop to seven metres. This is a nice wall and it heads roughly north-south. Swim to your left to the north and the depth drops to a bit over eight metres. It will stay between eight and nine metres for the next six or seven minutes. 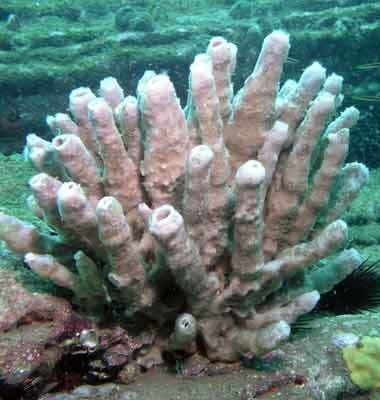 The wall is pretty bare, but there are a lot of shellfish on it and some sponges. 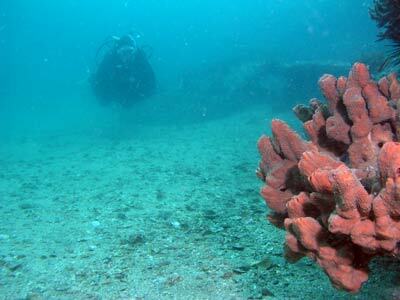 There are also a lot of Gabo Island soft corals. After a couple of minutes you will see something off to your right. 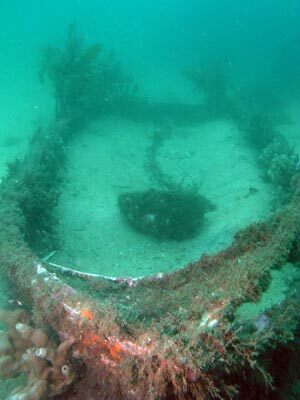 This is the wreckage of a large aluminium speedboat (this is not a Dutch submarine as many claim). This used to be fairly intact but it is now a total wreck. It has twin engines and props, although the props are hidden under the wreckage and perhaps the sand. Have a look and you will see the two engines, the prop-shafts and more. 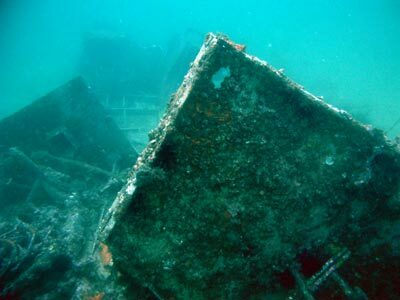 You can even see the remains of the cockpit with the gauges partly visible. It is probable that this was a 25 foot launch that ran aground on the rocks here on Monday 7 January 1952. It is thought that water got into the engine and caused it to fail. The owner declined to give his name to the newspaper that reported this incident. All on board got to shore safely. In front of this there is a small aluminium boat, like a rowing boat or a tinny. Continue along the wall and the depth over the next eight minutes comes up to six metres. 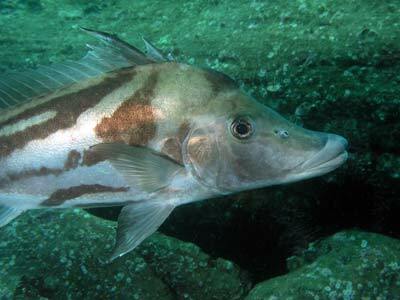 I have seen some long-snouted boarfish in this area, as well as some tiny boxfish. This whole section of wall can have some excellent fishlife, including ladder-finned pomfret and yellowtail. This is a good spot to turn around. You can head off the wall on the way back and there are some isolated rocks worth looking at here. Head back along the wall and past the boats and the point where you first crossed the wall. 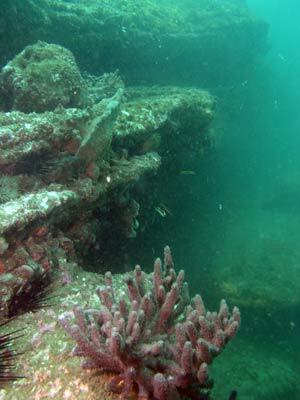 The wall is at first as prominent as before but where it turns south, it breaks up a little and the reef edge is now a series of lower rocks. There are some sandy inlets and you can jump across from one rock to another. After a while the reef edge turns back to the south-west. The depth here varies between eight and nine metres. If you keep going you will eventually see a pylon just off the reef edge. This is a starboard channel marker that you can see from the shore before you start the dive. Depending on how much air you have and how cold you are, you could keep going for a bit or turn around. Head back to the main wall. Go back over the wall and head north. You can either swim right back to the beach and exit onto the sand or you can exit onto the rock platform near where you entered the water. 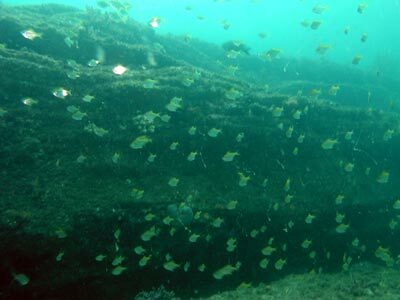 This is not the greatest dive site in Sydney, but there is usually a lot of fishlife around. Worth doing every now and again, especially at night or when seas make it too dangerous to dive in the open ocean. Best at or hear high tide.